Please contact a member of our team for price and availability. 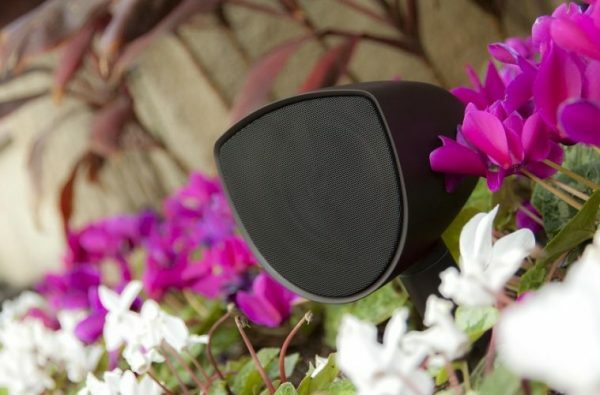 The Origin Acoustics AS41 Outdoor Loudspeaker System has been engineered to impress with its combination of four 4” state-of-the-art plantable garden speakers and an 8” subwoofer. Remaining completely hidden within your garden shrubbery, the Origin Acoustics AS41 System is more sophisticated in both sound and style than your average rock or patio speaker. 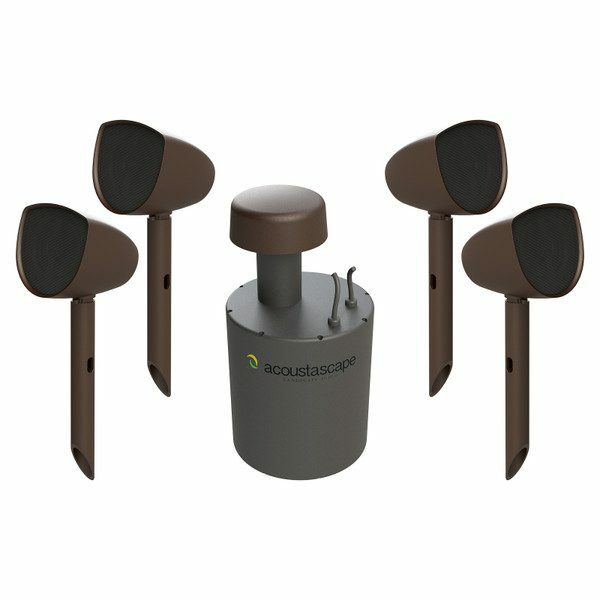 Disguised in camouflage, the Origin Acoustics AS41 Outdoor Loudspeaker System produces extraordinary sound while blending in completely with natural landscape environments. 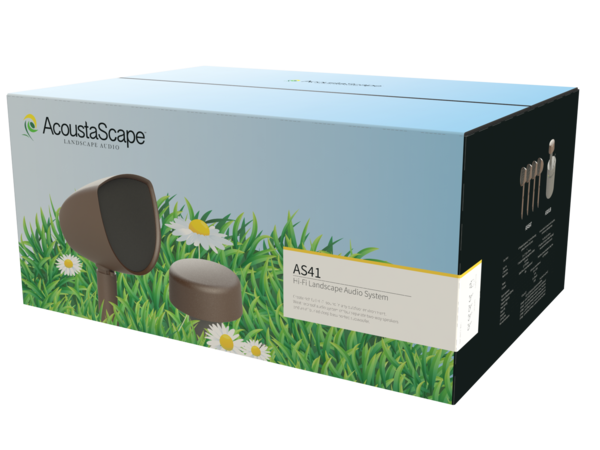 Gardens of any terrain and climate can be transformed with stunning directional sound without any disturbance to the surrounding landscape or the neighbourhood. 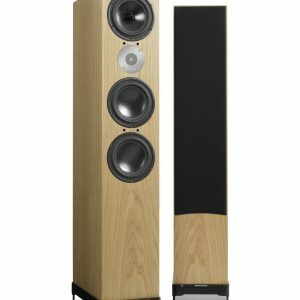 The Origin Acoustics AS41 Outdoor Loudspeaker System connects to a standard stereo amplifier. Add a combination of a shovel and speaker cable and you’re ready to plant the Origin Acoustics AS41 directly into your landscape. 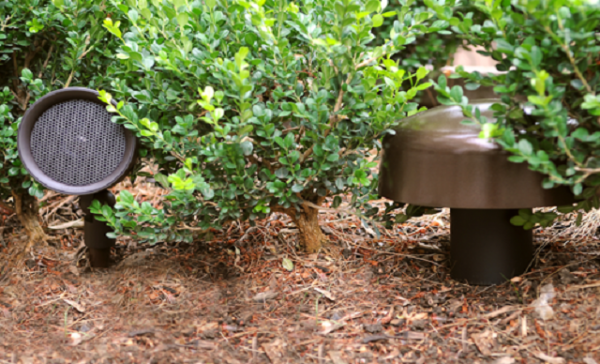 The satellite speakers come with rust-proof HDPE stakes attached that spike right into a foundation of rock, grass, and soil with relative ease. 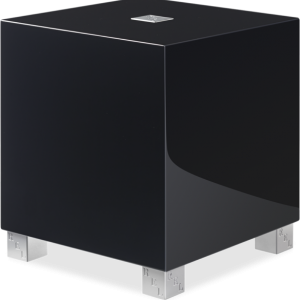 The body of the Origin Acoustics subwoofer should be buried deep into the ground, leaving only a non-intrusive cap to resonate deep powerful frequencies. 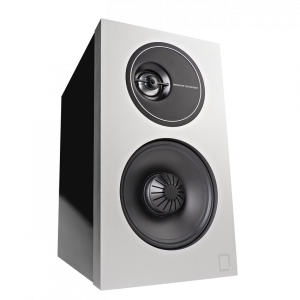 The Origin Acoustics two-way satellite speakers deliver a wider dispersion and require no separate amplifier–simply power from any source component zone 2 output. 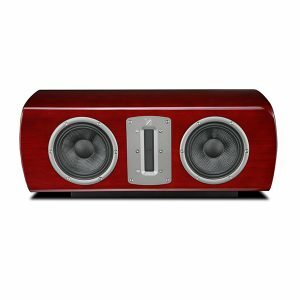 The compact and powerful 8 ohms per channel impedance matched hi-fi outdoor system is equipped with 50-200 watts of power handling.